Toyota Corolla Interior, Sat Nav, Dashboard | What Car? Thanks to a driver’s seat that’s easy to move up and down and back and forth, plus a steering wheel that does the same, you’ll have few issues getting comfy behind the wheel. The only slight annoyances are that the range of steering wheel adjustment isn't as extensive as it is in a Ford Focus, and adjusting the angle of the backrest involves pulling a lever and shifting your weight back and forth until you find the right position. A lot of rivals — the Focus and VW Golf included — offer a simpler and more convenient dial to twist. All versions come with electric adjustable lumbar support as standard, and this helps make the Corolla a great choice for covering long distances, even if the seat itself doesn’t offer quite as much side support as you get in the best rivals. You won’t complain about your view of the road ahead or out of the side windows at junctions. Relatively chunky rear pillars mean over-the-shoulder visibility isn’t perfect, but it's fair to say that rivals are no better. Fortunately, every Corolla comes with a reversing camera to help mitigate the issue. There's also front and rear parking sensors on all but entry-level Icon models. Powerful LED headlights are fitted as standard across the range and are a boon at night. In most rivals, you’ll either need to pay extra or upgrade to a posh trim level for these. Let’s start with the positives: the 8.0in touchscreen is positioned helpfully high on the dashboard and is easy to see and reach without distracting you too much from driving. However, what may well distract you is the complicated menu layout, something that isn’t helped by the sluggish way the screen responds to commands. What's more, the screen resolution isn't very impressive and the graphics for the map (sat-nav is standard from Icon Tech trim) look rather congested. It's disappointing, too, that neither Apple CarPlay nor Android Auto are available to bypass Toyota's software. 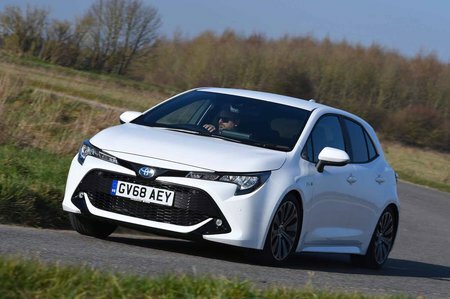 However, every Corolla comes with DAB radio, Bluetooth and a USB socket, and the standard six-speaker stereo is clear and punchy. That's just as well because the JBL premium upgrade is only available with top-spec Excel trim and 2.0-litre Hybrid power. 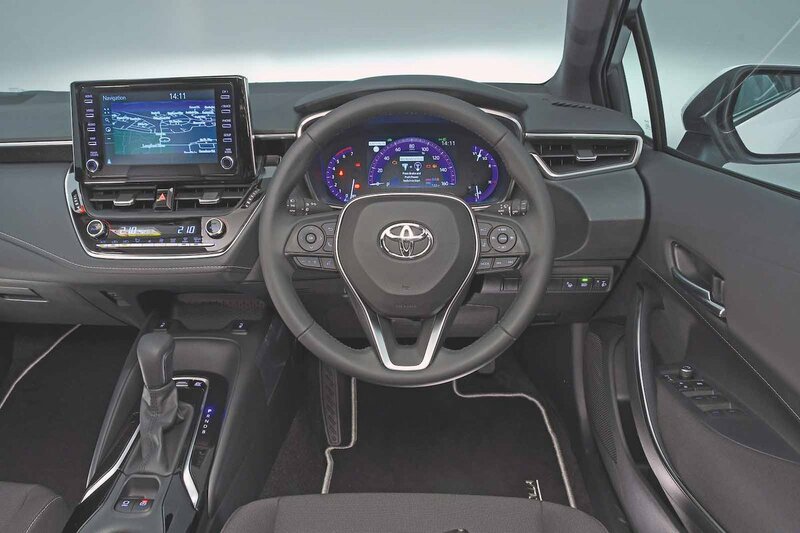 The Corolla’s interior is solidly made, withe plenty of soft-touch materials that lend it a competitively plush feel. The dashboard materials, for example, feel pleasantly squidgy and dense and even the insides of the doors don’t feel cheap or scratchy. 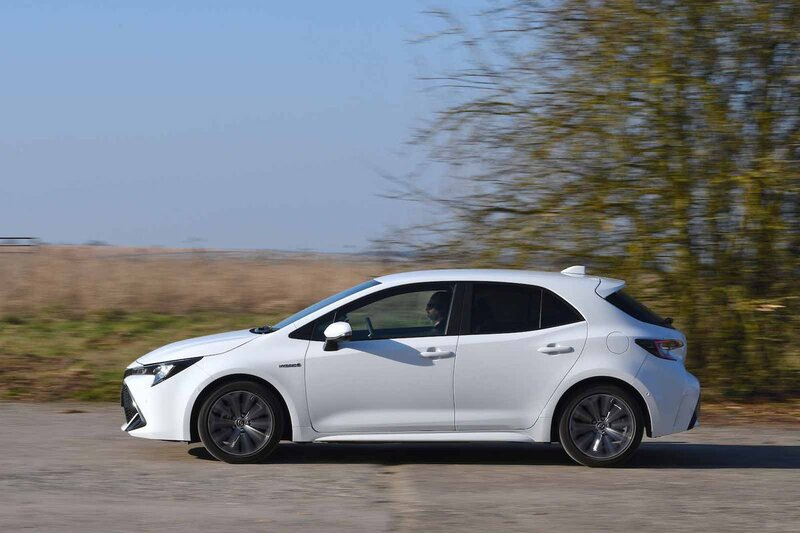 In fact, compared with the Ford Focus, the Corolla feels positively upmarket. Some of the details aren’t quite as classy its rivals, though. The leather on the steering wheel and gearlever, for example, feels a little plasticky compared with the fine-grain stuff you’ll find in a Volkswagen Golf, while overall the material quality isn't as high-end as an Audi A3's. Mind you, nothing in this class is.